“The Only Floating Film Festival” this is not just a gay group cruise to New England & Canada. It’s a great way to mix and mingle with other LGBT film lovers who may have missed the winning films and documentaries at local festivals around the world. 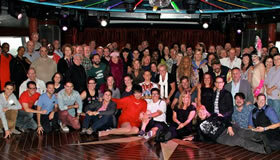 2019th Cruise - Stonewall 50: Pride of the Ocean Cruise celebrating LGBT Vets and First Responders! Extensively refurbished from top to bottom, Norwegian Dawn offers the ultimate Freestyle cruising experience. 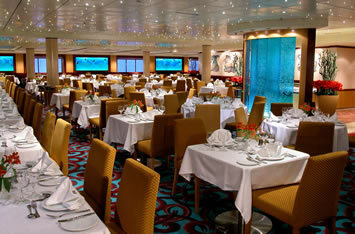 Dine in Los Lobos Cantina, an upscale Mexican restaurant only available on Norwegian Dawn. Drop by The Cellars, a Michael Mondavi Wine Bar for a wine tasting. Or take lady luck for a spin in The Dawn Club Casino. Norwegian Dawn is practically a city that floats on the water. With the Statue of Liberty on the hull, and you will know that this is your home away from home. Sailing from New York, this amazing vessel features 12 different restaurants, 9 bars and lounges, a casino, three swimming pools, and even two Garden Villas - private 5000 square foot stateroom areas that each have three separate bedrooms, a garden and a sundeck. There are so many activities that you will never run out of things to do. Get ready for the trip of a lifetime. Get ready for some serious play on Norwegian Dawn. If you enjoy the sun and water, head over to one of the three pools onboard. For the kids, there is the T-Rex Kid's pool with its dinosaur theme and slides. The Oasis pool has hot tubs, a poolside bar, and many sun lounges for you to enjoy. There is also the Lap Pool and Jacuzzi, and six other hot tubs. There is a card room, a library, a reading room, a Galleria shopping area with a department-store atmosphere, and there is even the El Dorado Spa and Fitness Center. Treat yourself to a relaxing day in the spa, or work up a sweat at the gym. There is also a jogging track, a basketball court, and a movie cinema. On Norwegian Dawn, food is not just a commodity - it is a specialty. Get ready for 13 dining options that will keep you coming back for more. Le Bistro is a French restaurant full of great French food and great French art. Salsa Tapas Bar is another great spot for Tapas and Tex-Mex cuisine; at Cagney's Steakhouse, you can enjoy a great tenderloin or filet mignon. There is Bamboo, which offers a taste of Asia, and the Blue Lagoon, a 24-hour food court with burgers and more. Impressions is a great Italian spot, and there is the Garden Cafe, Teppanyaki, the Sushi and Sashimi Bar, and the Bimini Grill, which all offer amazing cuisines of different types. The Aqua and the Venetian Main Dining Rooms both offer amazing menus and atmospheres - international cuisines, and home cooking for you to enjoy. Do not forget, since you are free to choose - there is 24-hour room service so you can have your meal delivered to your stateroom. Get ready to play and drink on Norwegian Dawn. The vast array of entertainment options is guaranteed to make your night as spicy (or low-key) as you want it to be. This ship has 9 bars and lounges, including the Star Bar, Gatsby's Champagne Bar (where you can enjoy an extensive collection of champagne), the Bimini Bar, and the Java Café (for something more like coffee, and less alcoholic). 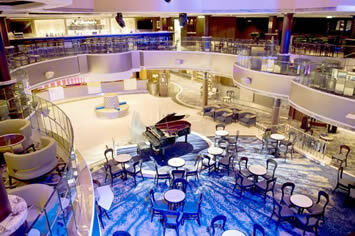 There is also Topsiders Bar, Dazzles Lounge and Night Club where you can dance the night away, and the Spinnaker Lounge. 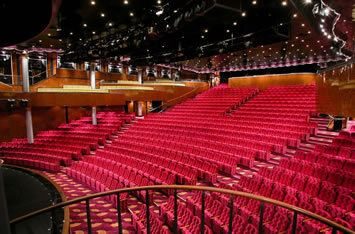 The ship has a casino that features your favorite Vegas games - cards, certified slots, and more; the casino has the Dawn Club bar. The Pearly Kings Pub is a traditional English Pub that has large screen TV's, a great selection of beers, and even has English pool. The Havana Club features rolled cigars and great drinks; the Stardust Theater has amazing live music and theatre performances. 09 June A Day at Sea! 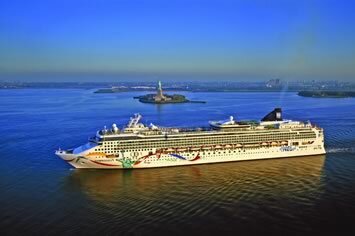 One of the great thrills of a lifetime is cruising in or out of New York Harbor. The Statue of Liberty, with her torch held high, beckons you as she has for decades. The skyline of Manhattan is almost mythical, full of great landmarks of mondern history. The early 1922 jazz musicians called any city an apple, but this was the big one. 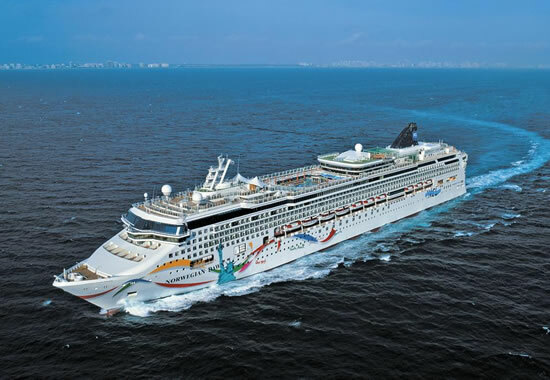 Get to know the Norwegian Cruise Lines Norwegian Dawn as you enjoy its many amenities, spa treatments, delicious cuisine, and scintillating events during our overnight passage to Halifax, Nova Scotia. Relax and enjoy your vacation onboard your ship. You can do as much or as little as you want. 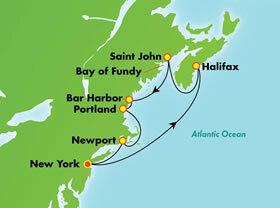 Admire the rugged coastline that surrounds Halifax, the world's second-largest natural harbor. This beautifully preserved city is Nova Scotia's capital and was founded in 1749. Take steps through history and climb to The Citadel to witness the Old Town Clock. The capital of Nova Scotia, Halifax is a charming mix of old and new. This is readily apparent in a walk around the area known as the Historic Properties. Enjoy the splendor of one of the finest harbors in the world by taking a water tour of the city. One of the city's most attractive areas is the Historic Properties Development, located along the waterfront. St. John, the oldest incorporated city in Canada, is a fishermans paradise. Saint John's history is evident in its weather-worn look, passing the tests of salt air, sea winds and a devastating fire that have all contributed to making Saint John the greatest little city in the east. Be sure to look for your ship in the port against the beauty of the Bay of Fundy from Fort Howe lookout. Experience the amazing Reversing Falls Rapids, Saint John's best-known attraction. Twice daily the powerful tides of the Bay of Fundy rise faster than the river can empty. When this happens, the tide attempts to push the river back upstream, then the tide ebbs and the river appears to reverse itself and flow over the rocks, creating the appearance of reversing rapids. Bar Harbor was once considered a small fishing and ship-building community. Today, it is a favorite destination for people throughout the world. With Acadia National Park in our backyard, a visit to Bar Harbor affords the comforts and luxury of a classic vacation retreat, but also offers spectacular beauty and natural wonder for those who would prefer to spend their time outdoors. This coastal attraction has retained much of its charm since its glory days of the 1900s, when America's elite vacationed here in opulent summer cottages. Surrounding the rock-bound harbor is the world-famous Acadia National Park where the opulence of nature is on display. Portland offers all the amenities of a big city: art districts, a vibrant waterfront, museums, parks and diverse shopping opportunities. But within minutes, you can be enjoying the view from an historic lighthouse or tasting a juicy, local lobster. A short trip from Portland lies Freeport, home to numerous clothing outlets including the famous L.L. Bean. Its a shoppers paradise. In the city, visit the beautifully restored waterfront, with its selection of charming shops and restaurants. The Old Port Exchange is really the heart of downtown Portland. It's a collection of 19th-century brick buildings originally constructed to support the vast export and fishing industries. Today, this quaint, restored area houses specialty shops, restaurants and pubs. During the 19th century, Newport served as the summer playground for the rich and famous. Residents displayed their fabulous wealth in the form of palatial estates overlooking the Atlantic. Today, these extraordinary and meticulously maintained homes line the city's famed "Mansion Row" and are a must-see for any visitor. Newport is best known for yachting events like the prestigious America´s Cup, but its streets hold some of the best-preserved Colonial homes in America. And, of course, there is the great row of extravagant seaside architecture where America;s industrial royalty built hugh and opulent "cottages" for the summer social season. Tour Vanderbilt´s The Breakers, Rose Hill, Marble Cliff or another of these elegant mansions. Taxes & charges of $150pp and optional insurance are additional. Please note that a programming fee of $250 to cover LGBT live entertainment and film screenings is not included in the above price. First deposit of $400 per person is required upon booking. Full payment is due 90 days before sailing. Also included are the traditional Pride of the Ocean cruise activities, subject to minimum participation. To enjoy Gay Group functions and excursions you must reserve room with us. Web Page © Happy Travel, Ltd. Logos and Images © RSVP Productions Inc., Atlantis Events Inc., Pride of the Ocean, etc.